A highly innovative skin rejuvenation technique pioneered by Dr. Fernandes that has now become a worldwide phenomenon. Percutaneous CIT proves to be a simple and fast method for safely treating wrinkles and scars, and producing smoothness naturally. It is based on the discovery that repeated puncturing of the skin’s surface with fine needles (also known as “needling”) stimulates collagen production. In needling, fine needle pricks on the skin are used to produce microscopic intradermal hemorrhages and activate wound healing mechanisms without damaging the epidermis in the process. Microlesions in the dermis are used to initiate the wound healing cascade. The aim of the method is to promote collagen synthesis, leading to qualitative and quantitative improvement of the dermal collagen-elastin matrix. Needling causes minimal injury to the epidermis and basement membrane; above all, there is no thermal or chemical damage. Consequently, and in contrast to these ablative techniques, there is virtually no risk of wound healing problems or pigment changes. The result is natural, scarless tissue with an interwoven collagen lattice, elastin regeneration and a thicker epidermis. In conclusion, needling is an ideal auto-regenerative method for the improvement of skin appearance and quality. The method is safe and effective and can be used in all skin types. Needling involves induction of the normal wound healing cascade through platelet release, which leads to regeneration of the subepidermal collagen structure and thickening of the epidermis. Doing this can effectively reduce the visual impact of scars. The skin surrounding the scar remains level with the rest of the skin and there is no risk of fibrosis. Instead, the tissue shows regenerative healing after the procedure, making it an optimal technique for the treatment of scars. 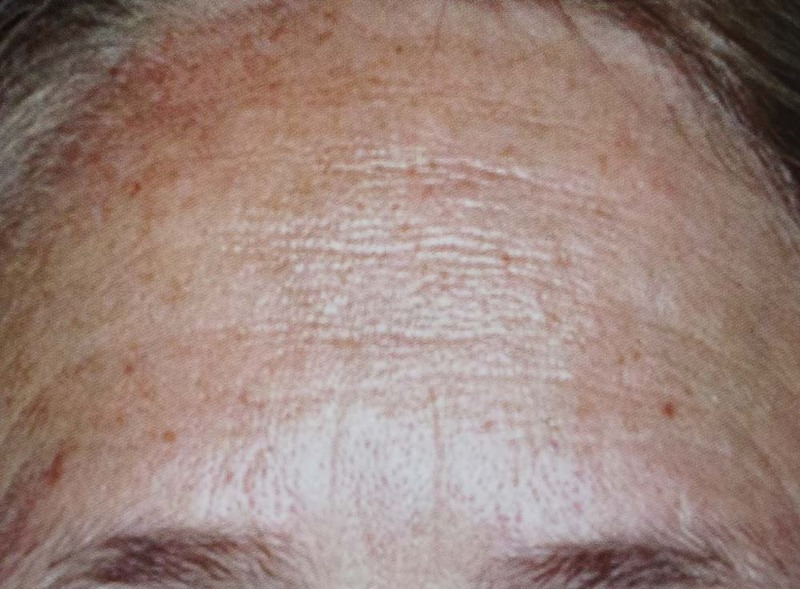 Before: Horizontal forehead lines and photoaging, before needling and Environ therapy. After: Two years after 1mm Medical Needling and Environ Skin Care with high dose topical vitamin A and C, etc. Before: Lines on the glabella and forehead before needling. Before: Wrinkles and lax skin in the periorbital region, large pores on the cheeks, irregular skin appearance, discrete couperose; before treatment. Before: Region around the eyes and eyebrows, before treatment. After: Two years after 1mm needling and Environ vitamin A and C products. Elevation of the eyebrow and improvement of fine wrinkles around the glabellar and eye region. Before: Lax skin on the upper arm of a 65-year-old patient before starting topical vitamin A, C & E oil. Before: Patient with acne scars before starting topical vitamin A, C and antioxidants in preparation for needling. After: Patient after three sessions of 3mm needling.